Ever try to explain how to do something on the computer? Did you every have to explain it over and over and over again. The answer to that is to use Jing. Jing is a screen capture tool that will record your moves on the computer while you voice over directions. The applications for this is endless. There are many times that I have had to explain things and my students need to use a specific skill while at home. Some specific skills that can be taught are inserting pictures into a Word document, animating objects in PowerPoint or creating a formula in Excel. I plan on creating a series of tutorials using Jing (if my mic works properly) on how to use specific skills with the SMART Board. If you have any thoughts on tutorials you would like me to do let me know. Facebook is a wonderful tool. I have been on it for a few years now and I find it very useful. I have found friends from college that I have not heard from in twenty years, I have even had two apologies from people about the way they treated me in high school and I even found a way to get rid of Silly Putty from my couch. I share photos with my family who are across the country as well as friends who live down the block who I don’t get to see very often. I currently have 478 friends and yes I know them all. I have friends that have over 2000 “friends” . The problem with that is that, if you are not careful, all of your “friends” can see your info, pictures and everything else. Even if you do set proper privacy settings Facebook routinely changes them and they get changed. Is Facebook wrong to use? No. Can it be used with students? Yes – Carefully! If you are going to use it be careful. My suggestion is that you create a separate account. Do NOT friend any students on your personal account. Do NOT link your personal account to one that you are creating to work with students. 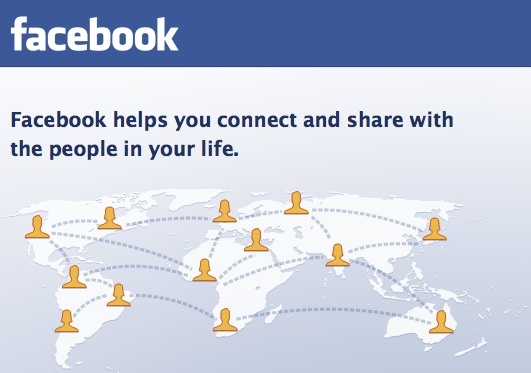 I have known many people who have gotten into trouble because of their Facebook account. In my school we had a teacher that did many wonderful activities and lessons on Facebook. It allowed her students to write and get descriptive about topics that they normally would not have done if she did it through conventional matters. As I have stated elsewhere, a great activity in Jewish Education would be to create a Facebook page for Anne Frank or Oscar Schindler and have the students update their statuses about what is going on. It would be the “New Diary of Anne Frank”. In the end my answer is friend, but friend carefully and if you do friend students (I would only for a special project) then create a separate Facebook account. Google Docs…Should I or Shouldn’t I? I am pretty sure that I know the answer to my own question. Yes! Why then am I asking about it. Historically, Google Docs was an app that was introduced and taught in 6th grade in my school. This year I had a 5th grade teacher ask me to teach her class about it. I thought about it. At first I said it is done in 6th grade and I do not want to mess with the curriculum in the Middle School, but then I thought about it. Google Docs is a productivity tool that is AWESOME. It allows students to work collectively and corroboratively. It also allows students to work without having the fear of duplicating files and work more efficiently. This year I found myself teaching programs and applications to earlier grades. I also found myself adding new things into the curriculum that I did not do before. So why not Google Docs? My only reservation at this time is that you need an email address to use it. I work in an elementary school where some parents have made a decision not to allow their children to have email accounts. This came up late in the year, so I did not do anything with it. To alleviate that problem, I think that next year I will create a generic email account so students can login using that one. This hopefully should solve the problem. Podcasts are an extremely useful tool in education. They have broken the barriers that have long been set by time, distance and money. A class studying the Great Wall of China can now see it and hear first hand what it is like, how big it is and how it was created. Until now that was not able to be done because of the three factors I mentioned before and more. It has opened up a “New Frontier”. A science class that wants to conduct an experiment and does not have the funds to create the actual experiment watch it on a vodcast. They can actually feel like they are the ones there. Additionally, a class creating an experiment can chronologize it periodically showing how it changes day by day or week by week. In Jewish education, again there are number things that can be done with podcasts, either creating them or viewing them. Even though you can listen to shiurim on them (children will find that BORING), I think there are better uses for them. The music video created recently by the Macabeats around Chanukah could also be used (in a sense) to tell about the story of Chanukah. Children can act out the parsha each week instead of writing a d’var Torah. As part of a group children can teach a topic from the torah, history or holidays. They can be put together to form a group of podcasts that will inform everyone about the entire topic or main idea. In the past, I have not really used podcasts. After thinking about them and reviewing their usefulness, I am a believer and will try to use them more in the future. Welcome to my new blog. This is my first true attempt into the blogosphere. I will be posting here various topics that relate to Educational Technology. I have contemplated blogging many times, but my hatred, fear and full anxiety of writing has prevented me from doing so. Today I would like to discuss blogs. What is their purpose? Should they be used in schools? If I really liked writing I would say, “Yes.” Since I do not want my contempt for writing to bias me, I will stay say, “Yes.” There are a myriad of activities and projects that can be done with a blog. Blogs can be used as a writing tool. Students can blog a paragraph or too and then other students can comment on it. They can make their editorial critiques and then the student can create a final draft. The teacher can see which students are commenting and are participating in the assignment. Additionally blogs can be used to brainstorm about a holiday or event in Jewish History. Everyone can have their voice heard. Blogs can be used to help create D’vray Torah as a community where everyone has a say. If you have any other ideas or comments please feel free to share. Just please be kind with your comments.